The air injection system is designed to mix air with the exhaust gases to burn unspent fuel as mandated by the EPA. This causes superheated exhaust turning the header pipes blue. Removing the SAI system will decrease / eliminate the blueing effect and reduce the popping on over run you will hear more of when you fit free flowing mufflers to your Triumph twin. 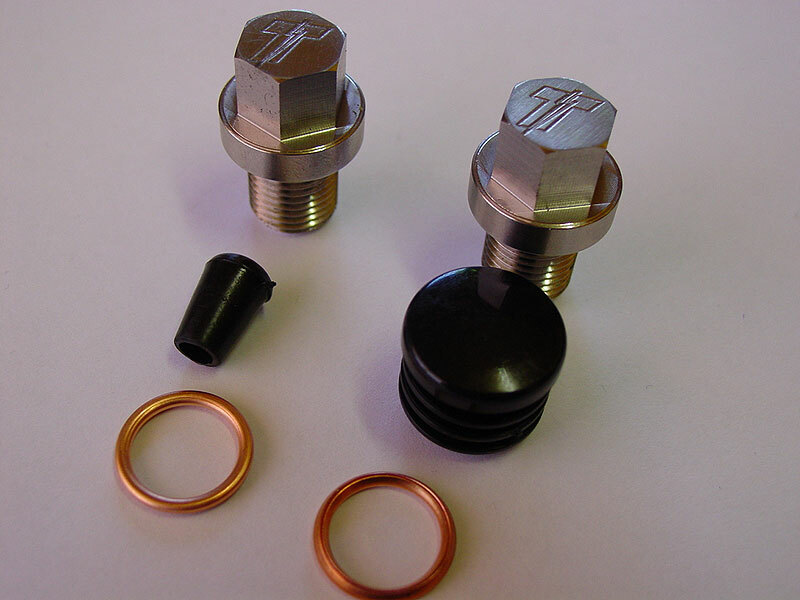 This is a complete air injection removal kit including stainless steel bolts with the Thunderbike 'T' milled into the top, two copper washers, airbox plug and vacuum port cap (where req'd) and comes complete with easy to follow instructions for fitment to carbureted or EFI models.